Resurrection in the throes of Lent? Many Christians had a big dose of exactly that this morning as we heard about the valley of the dry bones in Ezekiel and the story in John’s gospel about Jesus raising Lazarus from death. So, that’s a bit odd. Isn’t this season for journeying toward suffering, torture, pain, and death? What’s all this resurrection business doing lurking around in such a somber season? My answer: the invitation to practice everyday mysticism. Bible stories sometimes make this difficult to see. Those highly stylized stories can sound as if they were unfolding in a mythological space far removed from the gritty particulars of ordinary, daily life. Those stories actually happen in real places with real people, people with particular histories and sensibilities, people with particular races and cultures and politics, people with joys, sorrows, triumphs, tragedies, and families. I’m struck by the way John frames the story about Lazarus with touching details drawn from ordinary, household life. 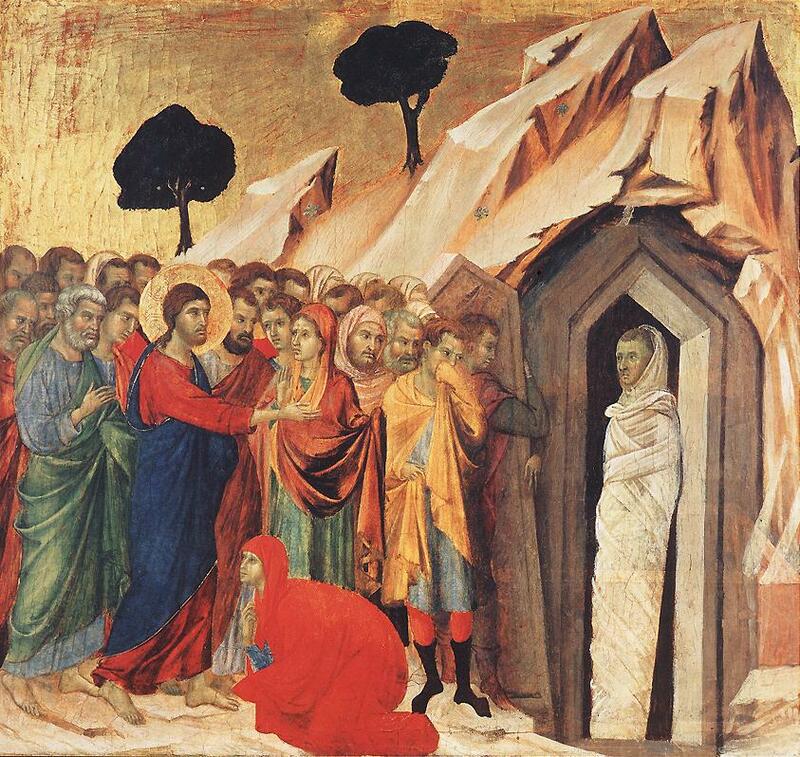 Lazarus and his two sisters, Mary and Martha, were apparently close friends of Jesus. He spent time with them, perhaps even quite a bit of time, in their Bethany household. I imagine Jesus going to Bethany to get out of the spotlight, a place to relax and to take some time off from a hectic public life, put his feet up, and unwind – just as many of us do in intimate households of good friends. This makes the illness and death of Lazarus all the more poignant. This wasn’t a stranger that Jesus just happened to encounter; it was Lazarus, a friend, a companion, a confidant, someone like family. Upon seeing Mary and Martha grieving near the tomb of Lazarus, Jesus himself weeps. John’s gospel presents what many theologians refer to as a “high Christology.” The very Word of God, present with God from the beginning of all things, through whom all things were made, this Word, John declares, becomes human flesh (John 1:14). Rather than seeing Jesus as only a significant historical figure of the past, on the one hand, or on the other as a unique and thus isolated moment of divine revelation, incarnation is instead the story of God’s reach into the very tissues of material and biological existence. Ponder that for a moment: the infusion and penetration of the divine deep into matter itself, down to the very cellular even quantum level. Ponder if you can that uncanny, unfathomable, and mysterious bond between God and God’s creation. John, I think, would heartily concur with that view, and then quickly remind us that this very Word of God made flesh actually wept over the death of a friend, a friend known in the ordinary, everyday intimacies of household life. John charts what Bill Countryman (among others) has called a “mystical path” into God’s own life. I used to think that meant that I needed to find a different path. “Mysticism,” after all, is for spiritual Olympians – monks and nuns, desert hermits, anchorites, abbots, and abbesses – or at the very least, for those who are better than I am at the daily discipline of prayer and meditation. But no, John’s mystical path can also be traced by crashing at a friend’s house after a long day, or by trying to comfort dear friends in the midst of grief, or by tidying up a dirty kitchen after a household meal. He could say that, it seems to me, because he paid attention. 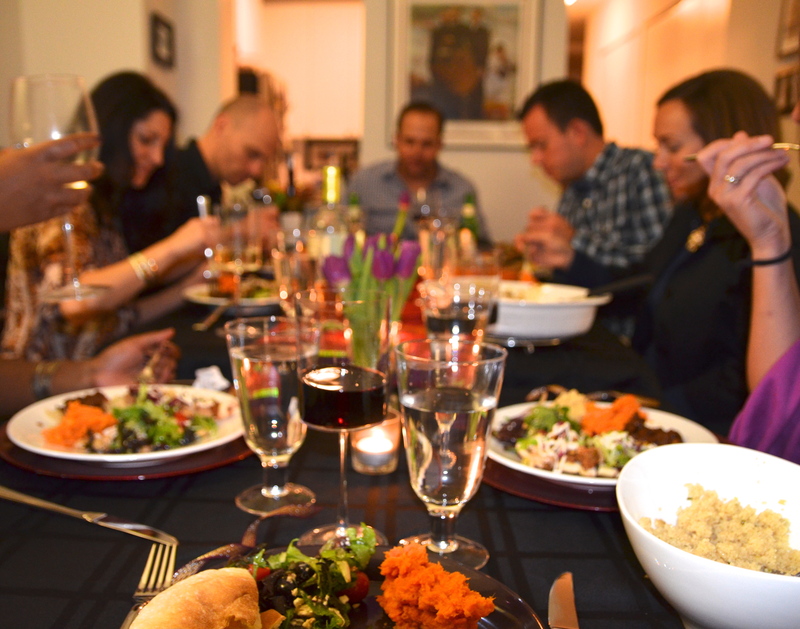 There are many different ways to observe this Lenten season, whether getting away for a silent retreat, giving up chocolate, or volunteering at a food bank. What we do matters far less than paying attention while we do it. I’ve come to appreciate Lent for precisely that, the simple but profound invitation to pay attention and to notice the deep incarnation of God in the most ordinary rhythms of daily life. Whatever it is you need to do to pay attention and to notice, that is your Lenten discipline. And it’s never too late to start. It’s never too late to pay attention and encounter the mystery of God in the embrace of a friend, in the convivial chatter over a shared meal, in the random exchange with a grocery clerk, in workplace politics, in the backyard bloom of a rose, in the wag of a happy dog’s tail, in a hike through the nearby regional park. John insists on this: the mystic lives an ordinary life in ordinary rhythms every day. That’s where God is. And it’s never too late to notice. It’s never too late to notice the mystery of divine love that draws people together in households of intimates, a love that sometimes, perhaps inevitably, breaks our hearts. It’s never too late, as Martha and Mary discovered, to notice that mystery of divine love stirring deep within us, even in our grieving. It stirs there with the promise of new life.